Seriously, you have outdone yourself yet again! The March 2011 issue is stunning. You arrived all wrapped in your plastic bag ready to deflect any foul weather on a day when I needed some color and what did you bring me...PINK! 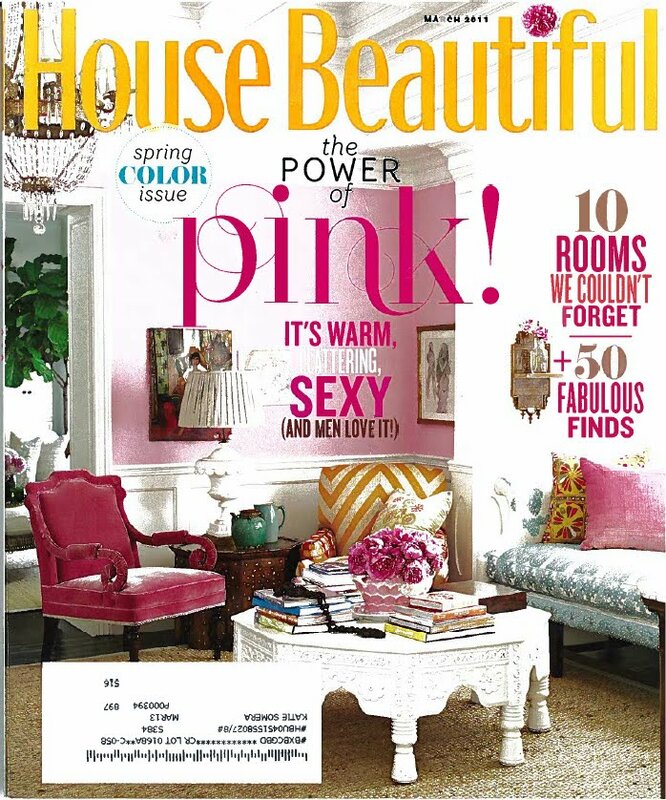 Not just a mere mention of pink on the cover, but pink throughout the entire magazine. Thank you so much for making me smile. The rooms in this magazine make me feel like a kid again on the swings at recess, you know that light and airy feeling that rushes right through you blowing your hair back and you can't help but smile? The grown up pinks are just so tempting I want to jump right into the pages and settle in. No one would know where to find me if that could truly happen, which I think would be pretty cool for a bit. What a nice day dream to have while I flip though yet again. Thank you for the inspiration always. 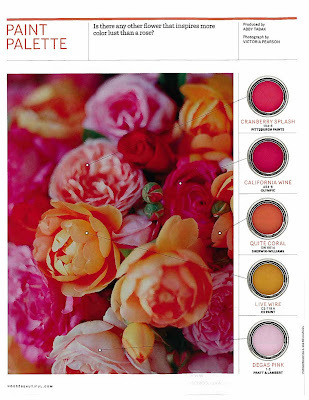 PS - Here is a sneak peak of a lovely color palette, but I recommend everyone go out and check this magazine out, it is one of my favorites for March. Oh how I love orange and pink together. Love orange and pink together! Those were our wedding colors! My word verification is "prenis". Really?